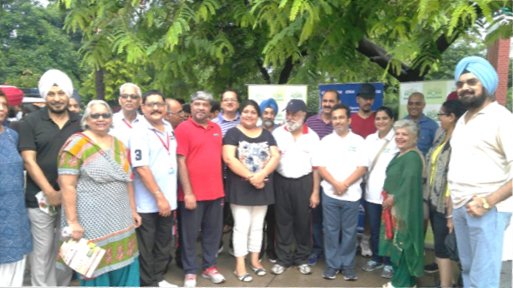 CMA organized, first of its kind programme on “Health First- The Wellness Program” at the most preferred place for morning walkers – the Sukhna Lake of Chandigarh on 14th of August 2016. Dr. Sandeep Jassal explained the importance of exercise, controlled diet and healthy life style and the threat to humanity is not from any infectious or communicable disease, but diseases emanating from life style. Dr. Pallavi Jassal emphasized in her brief address to august gathering about the role of regulated diet in combating and warding off several lifestyle diseases.